Tastefully designed for convenience and comfort! Shreenath assures a pleasant stay with modern rooms to its guests. The rooms are simple, spacious, bright and elegant. 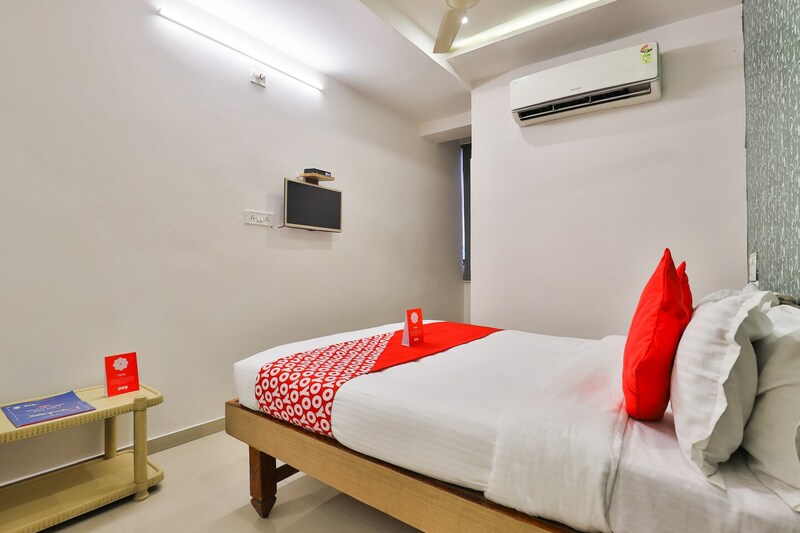 While the rooms are equipped with all the required basic amenities, the hotel also offers free WiFi, laundry and parking facilities.It also has a banquet hall which can be booked for any event. Foodies can enjoy a wide variety of cuisines in the plethora of restaurants nearby. A number of tourist destinations such as Jethabai Stepwell, Jhulta Minara Sidi Bashir Mosque, Kankaria Aquarium and Kamalanehru Zoo are within a few minutes drive from the property.